As immigrants fleeing war-torn Lebanon, Stepan Mekhitarian’s parents knew that education was the key to helping their son achieve his dreams – whatever they happened to be. After working in public accounting post-graduation, that belief in the power of education ultimately drew Mekihitarian to teaching. 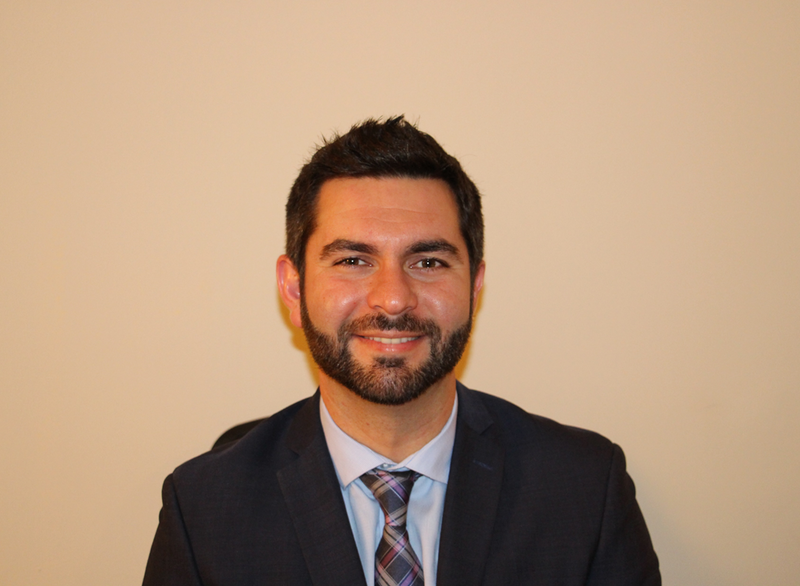 Mekhitarian, who has both taught secondary school and served as a middle- and high-school administrator, now makes his contributions as a blended learning coordinator. It’s a role that suits him well. Seamlessly weaving technology with other modes of learning and a data-driven approach, Mekhitarian has had notable success turning around student outcomes. One algebra student in particular benefitted from his approach, and ultimately, so did that student’s peers. Mekhitarian, a life-long learner who has continued his own education in social justice-focused programs at UCLA, Harvard and Loyola Marymount University, has also completed a doctoral research study on the skills and training required to effectively implement blended learning. And making sure other teachers are prepared for this shift is one of his top priorities. Here’s today’s Daily Edventure with Stepan Mekhitarian. Enjoy! I’ve always viewed education as a powerful avenue to fulfill dreams and decided to make a career change from accounting to education in order to help others realize their dreams as well. After working in public accounting after graduation, I came to the realization that it was education that had given me the opportunity to pursue my goals and aspirations. My family had immigrated to the United States to escape war-torn Lebanon and I was immensely grateful to have access to an education system here to support my learning and to have choices for my future. I made a commitment to help others – especially students from low socioeconomic backgrounds like me – achieve their goals and have the freedom to shape their destiny. One of my proudest moments as a secondary math teacher was seeing one of my students with several learning disabilities pass his Algebra I course. That year, I developed a comprehensive instruction and intervention plan that incorporated extensive collaboration with our Special Education teacher, a daily peer tutoring initiative, and data-driven planning through the use of student response clickers for feedback. I began using technology almost immediately as a secondary math instructor with student response clickers given to me by a teacher who did not want to program them. This technology, though outdated by today’s standards, transformed my instruction. It engaged students, gave me a tool to easily identify misconceptions and address them immediately, and created opportunities to gamify learning. It was particularly effective in checking for understanding and addressing misconceptions, which gave me insight on how to better approach instruction. As my instructional practice improved, more effective approaches to differentiation were incorporated. In my opinion, the greatest challenge in education will always be widespread access to terrific teachers. Effective instruction from a passionate and dedicated teacher is the single most critical factor in student success. In terms of education innovation, what are you most excited about for the future? The current shift in instruction toward greater student ownership and constructivist thinking is very exciting and has the potential to dramatically impact student learning. With teachers increasingly taking on facilitator roles and developing differentiated learning opportunities, educational innovation is helping prepare students for 21st century careers and, more important, to be lifelong learners. My hope is that teachers who are leading this work will have access to the training and resources necessary to implement educational innovation with fidelity to maximize student learning. Favorite childhood memory: Meeting lifelong friends for the first time in kindergarten. What is the best advice you have ever received? Follow your heart and you’ll find your happiness. This entry was posted in Information, People and tagged stepan mekhitarian, USA. Bookmark the permalink.